Large - $74.99 Only 6 left! Perseus forged his battle-hardened skills in countless campaigns as a legionary across Gaul and Asia Minor only to return to Rome to become a famous gladiator. Will you be able to match his skills in the Colosseum and emerge the victor? With this costume, you’ll at least look the part, and that’s half the battle, right? 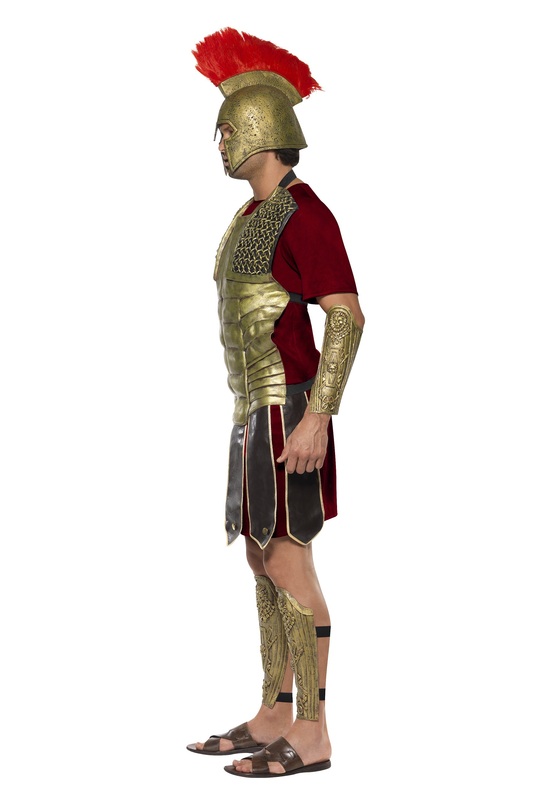 Give yourself a fighting chance in our Mens Perseus the Gladiator Costume. Maybe the Caesar will give you a thumbs up––wait, that means “Kill that guy!” Turns out being a gladiator is the only job where you strive for a thumbs down from your boss. For the man who likes to wear a skirt and be an indisputable macho man at the same time, this costume is the perfect answer. Master the tools of the trade: the short sword and buckler, the spear, or the myrmidon’s equipment, the trident and net. Or just bring pizza and beer. You can be the champion of the plebeians or the hero of the party. Either way you’ll have them chanting, “No, I am [insert your name here]!” Just make sure you get the credit you deserve. 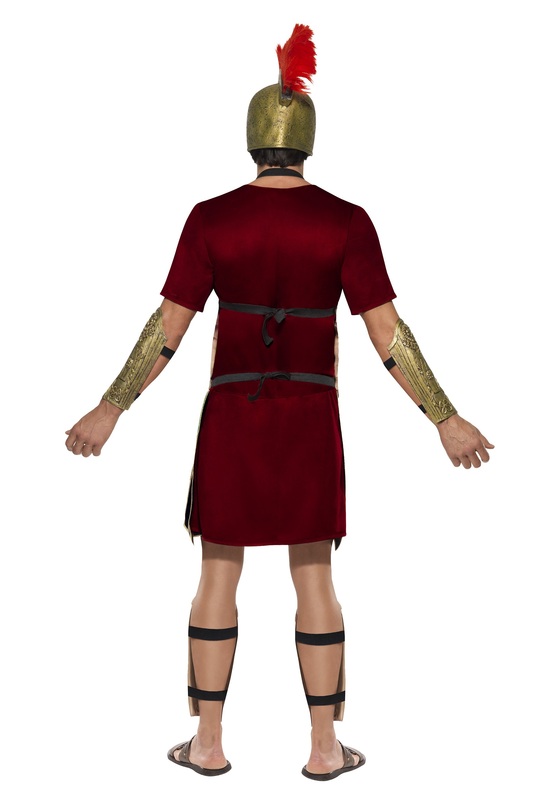 This Mens Perseus Costume includes a polyester tunic with hanging vinyl tassets and soft armor pieces for the chest, arms and legs that secure to the body with elastic straps. 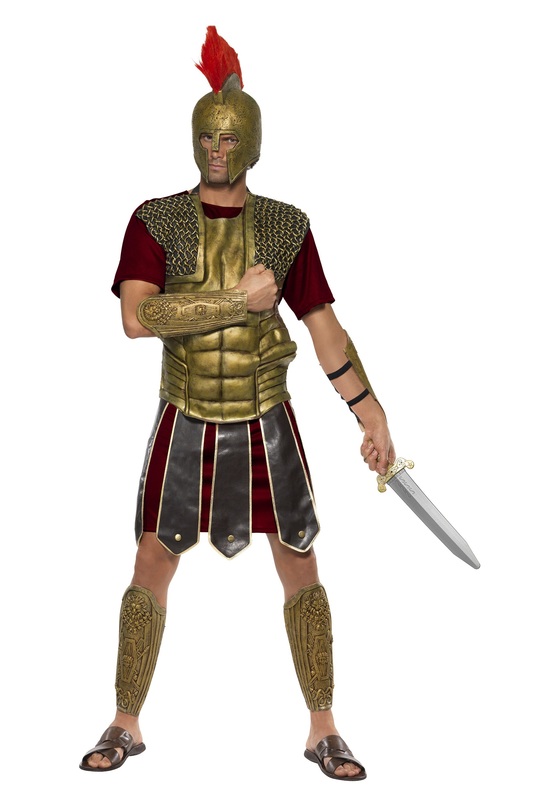 While authentic-looking, don’t get carried away: this armor won’t protect you from your fellow gladiators or wild beasts released into the arena. 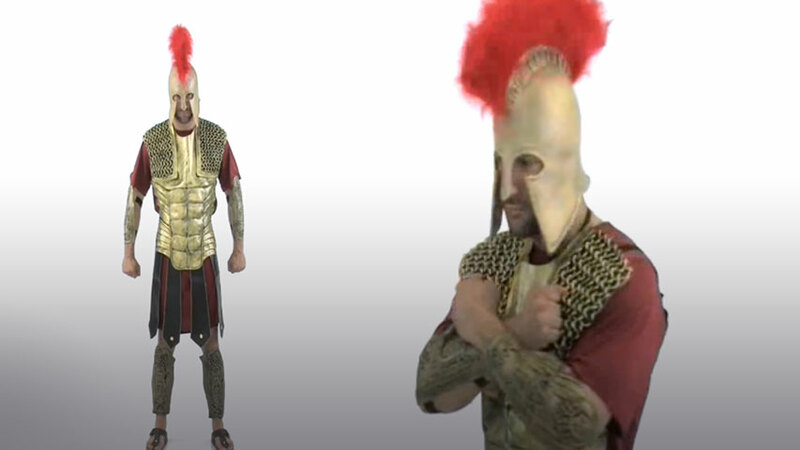 It’s perfect for gladiators, centurions, or perennial favorite among hopefuls at college campuses across the country, the Trojan Man.